The days are getting colder, the food is getting heavier, and your motivation is just about gone. Why go work out when you have Netflix, a warm soup, and some cozy blankets calling your name, right? Wrong! Maintaining your health should always be a top concern, and at Fit Central, we can help make it a reality. We understand that it can be hard to motivate yourself to work out — especially as the cooler months approach — but that doesn’t mean you should throw in the towel and resign until it’s swimsuit season once more. Read today’s blog for tips on motivating yourself to work out, and be sure to visit Fit Central soon — your first class is free! Whether you’re interested in our personal training, our fitness classes, or more, our gym with child care could be just what you’re looking for to kickstart your health. When you join a new gym, everything feels new, fresh, and ready for you. You’ll feel extra motivated to attend group fitness classes, introduce yourself to people, and improve your diet at the same time. Take advantage of it! 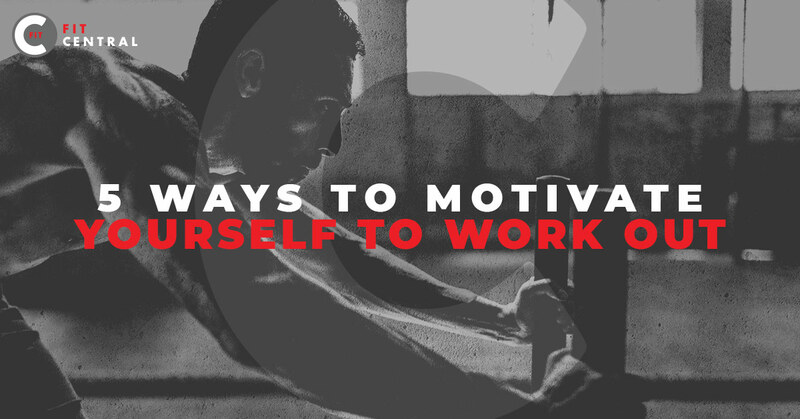 Use this newfound motivation to get you to the gym regularly, and next thing you know, you’ll have formed a habit. If you have someone telling you what to do at the gym, the chances are high you’ll have a better experience and be much more motivated to attend — partially because you’ll start to see bigger results more quickly. When you search for “gyms near me,” find out if the gym has athletic trainers for you to learn from. A personal coach can make a huge difference in motivation. Have you ever tried HIIT classes? What about yoga, barre, functional fitness, Les Mills, Zumba, or more? Check out workout programs that deliver results, and try a new class yourself! This will breathe new life into your workout routine and help motivate you to actually get to the gym. Just like in life, working out is better when you have a friend involved. This could be a running buddy during the week, a workout class friend for days at the gym, or a coworker you walk with during your lunch break. Having someone be dependent on you is extremely motivating. Set a goal — with a defined date — that you can work toward. Maybe it’s to run a marathon, to participate in a competition, or to do a certain number of pull-ups by a certain date. Whatever it is, set the goal, determine a date, and make it happen (an athletic trainer can help). Feeling motivated yet? Personal trainers from Fit Central can help you get there. Get a free fitness assessment from our personal trainers in Columbia, and get your personalized fitness program started! We even offer small group training so you can get personal training with a friend. Sign up today!